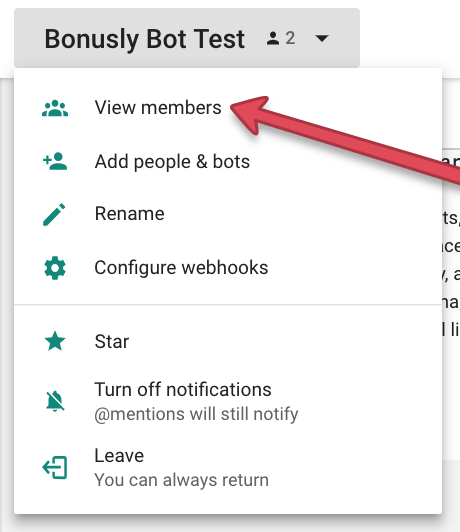 In this article you will learn how to add and remove the Bonusly bot from your Hangouts Chat rooms. 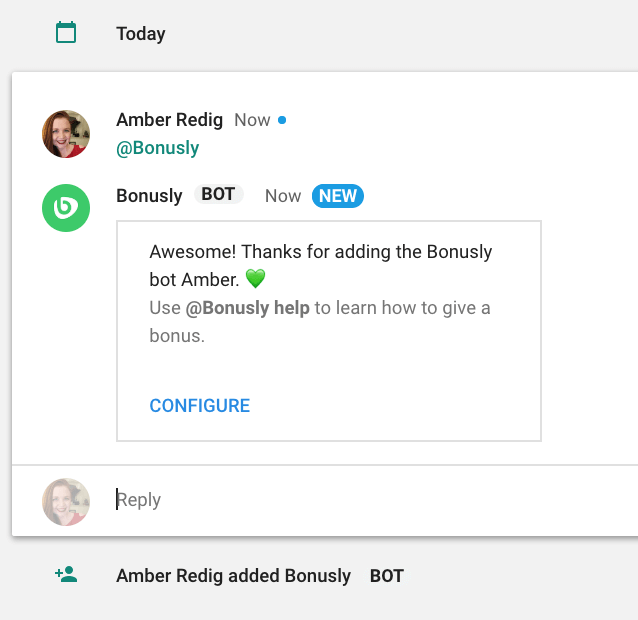 When you add the Bonusly bot, it will announce bonuses and allow you to give bonuses all in the same room! 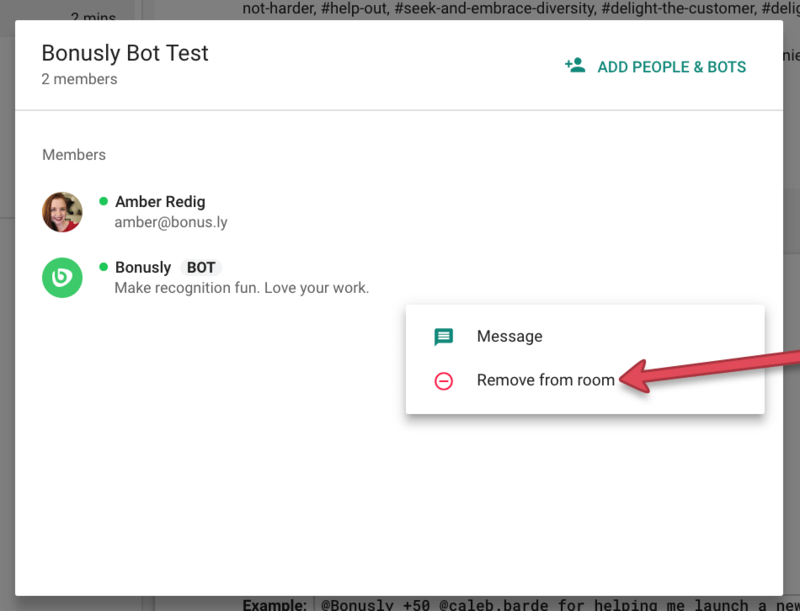 To set up the Bonusly + Hangouts Chat integration, all you need to do is add the Bonusly bot to one of your rooms. That's it! 🎉The Bonusly bot will be removed and stop posting and bonusing from that room. Ready to learn what the Bonusly bot can do with Hangouts Chat? Check out our article: "Using the Hangouts Chat Bonusly bot" to find out! Need help setting up your Hangouts Chat integration? Shoot us a message at support@bonus.ly and we'll get you squared away!